Justin Locke is a musician, author, playwright, cultural iconoclast, and entertaining speaker. 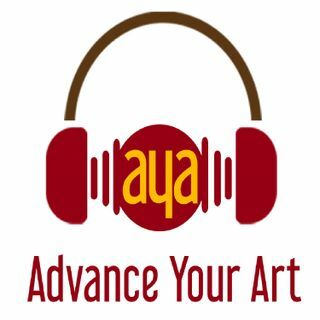 We cover a lot of topics on the artist mindset, especially what holds many artists back, oppression training, why artist are taught to ask for permission, and how to reframe your thoughts to empower yourself. Justin Locke grew up on a farm in Ohio before moving to Boston. After a year at music school, he jumped into the freelance musician life of playing for the Boston Opera, ... See More Ballet, Pops, and Symphony. He worked with the most notable conductors of the era, including Leonard Bernstein, Arthur Fiedler, Henry Mancini, and John Williams. One day, after playing a somewhat lackluster “kiddie concert,” Justin started to create programs for orchestral family concerts. One of these, “Peter VS. the Wolf,” has been presented all over the world, on such notable stages as the Berlin Konzerthaus and the Theatro Municipal of Rio de Janeiro. It will have its Polish premiere this June. After 18 years of bass playing, Justin hung up his rosin bag and shifted his career to video production, making fund raising videos for large nonprofits. He also works as a “score reader” for Boston Pops live TV broadcasts. In 2005, Justin published a humorous musical memoir of life as a bass player. “Real Men Don’t Rehearse” has sold over 12,000 copies. Justin often appears as a guest speaker, sharing his favorite gig disaster stories as well as first- hand insight into what conductors (good and bad) actually do. Justin combines his dilettante interests in psychology, history, media production, management philosophy, music, and dance in sharing a unique and pragmatic perspective on the intersection of the arts, leadership, and the pursuit of happiness. Justin has also published three other books: “Principles of Applied Stupidity,” “Getting in Touch with Your Inner Rich Kid,” and “Time Light Love (Exploring the Physics of Emotional Energy).” Visit his website and blog at www.justinlocke.com.